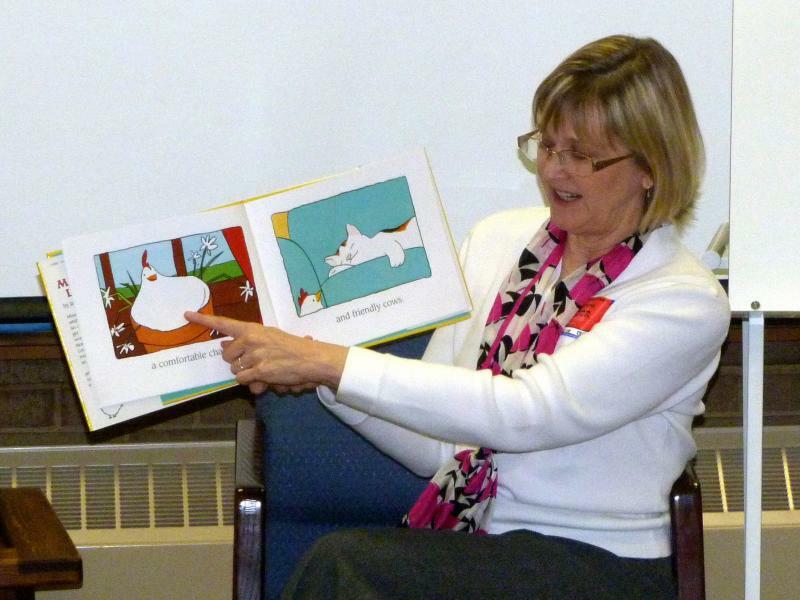 Janet Stoeke has presented to hundreds of classrooms in the DC area. She is eager to turn young readers into avid storytellers, and inspire them to read and think creatively in every aspect of their lives. 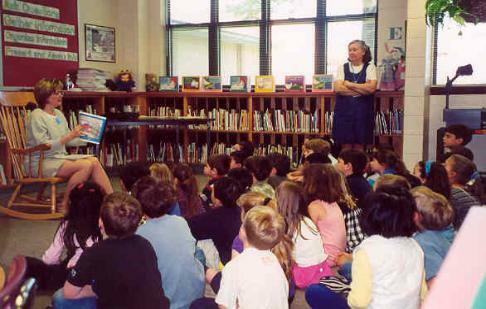 In this very interactive and lively presentation, I walk elementary school students through the steps required to make a story. We start with our main character. The children come up with three animals, and we vote to determine the best one. Then we vote on the name, and the ways that this animal is different from all the others (characteristics.) Pretty soon I have something to draw, and the kids love to watch as their character quickly comes to life on the blackboard in front of them. Then it is time for action -- we need a plot! I point out the beginning, middle and end as we roll along, so they will understand the importance of structure. They think it up, and vote in the best plot ideas. I draw everything on the board for them, with as much humor as possible. They need to be coaxed into an ending, because they often don't want to quit. But authors have to do their job! We make the end feel like an ending ("Ahhh, everything's OK.") and the session rolls to a slower pace. The students see first-hand that they can do it. Creating a book is not only possible, but great fun. I round it out by showing a few art samples in stages and explaining my illustration style. I leave time for students to ask questions before I say goodbye. To book a visit, please submit the information below.